The Salvation Army Coats for Kids Program has provided warm coats and snow gear to children in need since 2004 in northern Michigan. THAW helps over 20,000 children in their efforts to provide energy assistance to low-income families throughout Michigan. Funds received by THAW help Michigan families keep their utilities on. Other donations from Warming Hearts and Homes went directly to food pantries around northern Michigan, feeding those who need assistance during the winter months. Surveys from Michigan residents illustrate that over recent years, the number of people forced to choose between paying for food and utilities has increased. When families have to make decisions between paying for food and heat, the ability to purchase a warm coat just isn’t there. 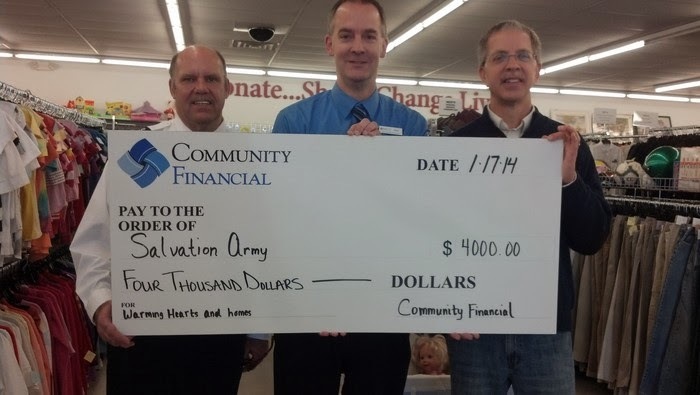 With an exceptionally chilly 2013-2014 winter season, Community Financial wanted to help eliminate the choice for families across Michigan, and donate to all three causes.